Thursday 26th September 1918: A claim for compensation has been brought at the Luton County Court by Susan R. Webb of 116 Hartington Street, Bedford. Miss Webb was feeding an automatic machine at George Kent’s Biscot Road works in Luton on 6th July 1917 when her cap was caught by the cogs and her hair and head were drawn into the machine, causing a severe scalp injury. She was in the Bute Hospital for six weeks and part of the skin of her leg had to be grafted onto her head, which was left largely without skin. As a result she was a nervous wreck and currently practically incapable of doing any work. The firm had paid Miss Webb twenty five shillings a week until 12th April, and the claim was for lost wages since that date. They had offered her light work at 33s 9d per week, with half the difference between that rate and the amount she had earned before the accident. Unfortunately the girl had to go into a room next to the one in which the accident took place, and her nerves were so badly effected that it was impossible for her to work there. She was offered work in the canteen, but that was over-run by large numbers of girls and Miss Webb did not take that position. She applied for non-factory work looking after a child, but the mother would not trust a women in her condition; she was also refused work at another factory. On the doctor’s advice she got work at a nursery as a fruit picker, but was never able to earn more than 8s 9d, and the work made her giddy. During her evidence Miss Webb several times burst into tears. In evidence for the company, Dr. Lloyd of Luton said he had found no organic disease and was of the opinion that the girl unintentionally exaggerated her feelings. He agreed that excessive noise would increase her nervousness, but suggested she would get used to it in time, and argued that even though she said she had been unable to do it work on the land would be the best thing for her. The Judge was not impressed by this witness. In his judgement he agreed with another doctor that the girl was not capable of doing any substantial work, and awarded her £1 3s 5d a week compensation with costs. However, the case made him regret there was no way to compel such unfortunate persons to do work which would prevent them brooding over their misfortune. 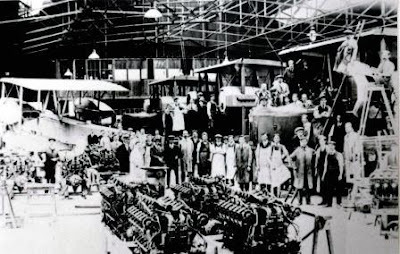 Wednesday 24th September 1918: While flying over Linslade at about noon yesterday, the pilot of an aeroplane was forced to land in a field at Southcourt [Southcott] due to engine trouble. Repairs were made to the machine during the afternoon, but attempts to get airborne failed. Further equipment arrived late last night and the pilot, Captain Waller of Hendon, was able to take off successfully this morning. The aeroplane was guarded overnight by the Volunteers under the command of Captain W. S. Mahony. Saturday 21st September 1918: News has been received that two more Leighton Buzzard soldiers have been wounded and a Linslade soldier killed. Private William Hyde of the Canadian Machine Gun Battalion, whose home is in Vandyke Road, is now recovering from a wounded arm at the New Military Hospital in Gravesend. Lance-Corporal Lawrence Cook of the Bedfordshire Regiment, the son of Mr. John Cook of 13 Hartwell Grove, has been wounded for the third time and is now in a London hospital being treated from a gas shell wound in the face. Lance-Corporal Cook joined the Army less than two years ago; he received bullet wounds in the hand and thigh in August 1917, and in March he was shot in the leg. One of his brothers has been discharged from the Army due to wounds. Private Peter Smith of 52 Old Road, Linslade, was killed in action on August 22nd fighting with the London Regiment in France. He was 18 years and 6 months old and had joined the Army in February. He had only been at the Front for twelve days when he was killed. Before joining up he was employed as an engine cleaner on the railway. Three of his brothers have also served in the Army: one was reported missing in April, another is now in Egypt, and the third is in France. His older brother William Smith was killed in action on 13th April 1918 while serving with the Royal Warwickshire Regiment. Don’t eat more than you put in the basket; the unpatriotic pickers are known by the colour of their lips. 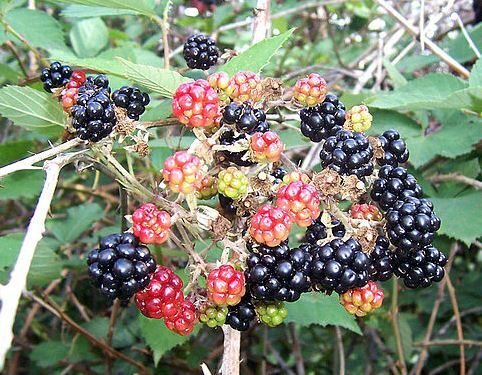 Don’t pick wet berries; they won’t keep, and have lost their flavour. Don’t pick them when red; leave them another day to ripen and sweeten. Don’t break down hedges, or make gaps for the cattle to stray through. Don’t trespass; the farmer will give you permission if you explain that the fruit is to make jam for the soldiers. Don’t leave the gates open after you. Don’t delay in taking them to the Local Collecting Depot while they are fresh. 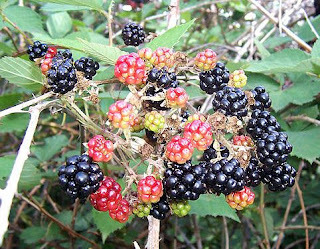 Don’t make blackberry jelly; it is wasteful. Meanwhile war has been declared on the rats which are causing enormous destruction of food. The Joint Agricultural Advisory Committee has urged farmers to take the matter seriously – rats multiply so quickly that a single pair can have a thousand descendants in a year, and it is believed there are nearly as many rats as human beings in Great Britain. Apart from the risk to food supplies, rats are also a danger to public health. Every farmer must do all in his power to keep numbers down! Sunday 15th September 1918: A procession of one hundred and twenty girls of the Women’s Army Auxiliary Corps marched through Bedford today behind the band of the Royal Engineers. 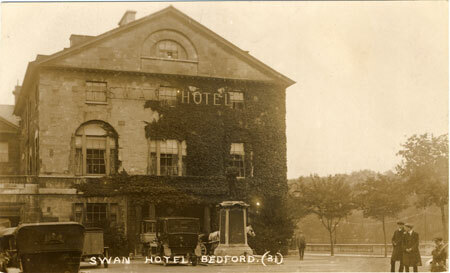 When they arrived at the Soldiers’ Memorial, they were addressed from the balcony of the Swan Hotel. 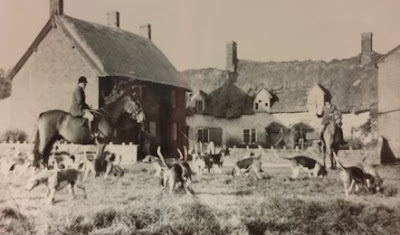 The aim of the meeting was to find an additional one hundred members from Bedford, as the town’s quota of the 30,000 required for Queen Mary’s Army Auxiliary Corps. The women are needed as cooks, and will be offered free training at full pay of ten shillings per week. They will also receive uniform and full board. One of the speakers, Major Jayne, said that the preparation of food for men had always been one of women’s noblest duties, and it was their duty to obey the command. Although scandalous things have been said of the splendid women serving in this way, these were reported to be completely untrue – mothers were assured that they need have no fear in giving consent to their girls joining the Corps. The Mayor hoped that this would be the last recruiting call from Bedford, as he expects that in the near future peace will be proclaimed. Lieutenant Guess joined the Army in 1914 and has spent much time on active service. He was mentioned in despatches during the Battle of the Somme in 1916, and was promoted from the ranks in 1917. In June he was seriously wounded by shrapnel during fighting around Albert, being hit in the neck, left shoulder and left leg. The leg wound was particularly severe and he is still on sick leave. 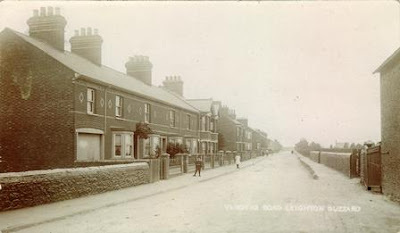 Monday 9th September 1918: Henry John Hutton, of 27 Old Road, Linslade, has been remanded at the Linslade Police Court for stealing firewood blocks valued at five shillings from his employers, Messrs. Morgan and Company Limited. 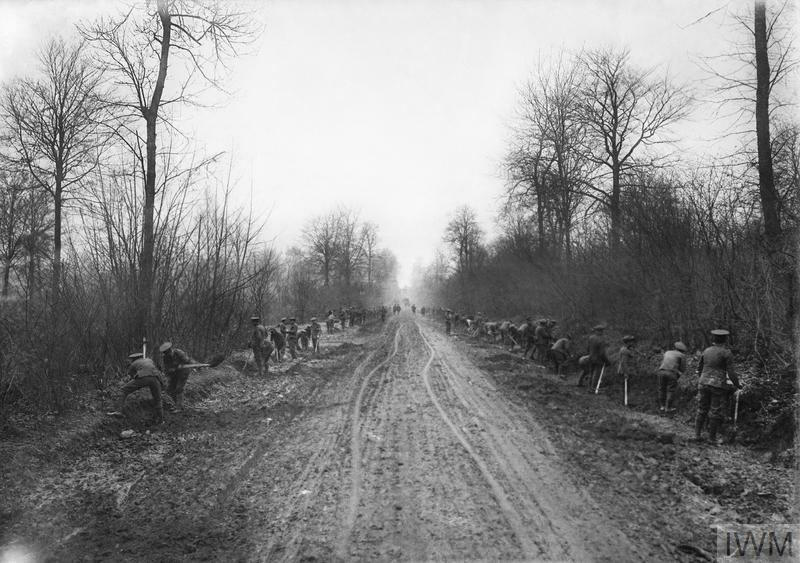 The works director stated that although the company appreciated the efficiency of the police in detecting the theft they did not wish to press the case, as Henry Hutton had been in other respects a good worker and was a discharged soldier. The wood was scrap and would sooner or later have been given away to deserving people at the works or sold as firewood. Police Constable Matthews said that early in the morning on Thursday 5th September he had found a bag of block firewood hidden in a hedge near the Linslade Pumping Station. He had watched the bag until 11.50 a.m., when the prisoner’s ten year old son came with a perambulator and took it home. The next morning, while watching the works, he had seen Hutton come to a large heap of firewood, fill a bag, and carry it across the meadow to the same place. When challenged he admitted stealing the wood. Hutton pleaded guilty and said he was very sorry. He had been discharged from the Army in March and his wife and children had been ill. There was a lot of wood lying about and he took some as it was difficult to get fuel. The works director said Hutton was a very good workman and of real value to the company, but as a matter of principle they could not keep him on. Taking into account that he had lost both his character and a good job, Hutton was fined ten shillings with fifteen shillings costs. Thursday 5th September 1918: Tribunals continue to be held on a regular basis to hear appeals against conscription to military service for men considered to be essential workers. At today’s Linslade Urban District Tribunal a number of exemptions were agreed. Joseph R. Labrum, age 40, a coal merchant at Ledburn Wharf, Linslade, received three months’ exemption with the consent of the Military Authorities on the grounds that he is in a certified occupation. The normal requirement to serve as a Volunteer was waived as he is a lieutenant in the Special Constables. William White, the licensee of the Bedford Arms, was exempted for six months on health grounds. He has been certified as not fit for any kind of service, even as a Volunteer. There was some complaint that Linslade retailers had been taken by the Army whereas those in Leighton Buzzard had not, with the result that shoppers were being forced to go to Leighton. This time grocer Lewis Lovell of 55 Old Road was exempted for three months on the grounds that his work was of the utmost importance. Other men considered to be in essential occupations included a cattle dealer, a coppersmith carrying out skilled work for Morgan and Company, and the manager of the Grand Theatre. 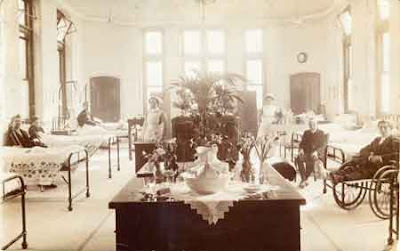 Although Mr. Dyball, aged 33 and single, only passed his medical as Grade 3 he could still have provided useful service to the Army as a clerk. However, he was carrying out the work of two men at the Theatre, and the importance of picture palaces for propaganda work was recognised by the tribunal. 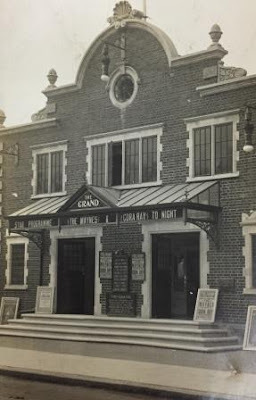 Tuesday 3rd September 1918: Mrs Rosetta Balchin, of Great Northern Road, Dunstable, has appeared at Dunstable Police Court charged with unlawfully concealing Private Mansell, an absentee from the Military Hospital Asylum at Epsom, who had previously been billeted with her. Police Sergeant Palmer said that he and Police Constable Paxton went to the house at 11 p.m. on August 6th and said they believed there was an absentee there. She admitted there was, and he found Mansell on a bed made up on the floor in one of the back rooms, in uniform. She admitted she had tried to keep his presence quiet. Police Constable Paxton said that about the end of February Mansell had been billeted at his house, and had asked if he could stay at his old billet. P.C. Paxton would not agree, but Mansell had stayed with Mrs Balchin one weekend in six. At the end of April she said Mansell had been to her house and gone again. She was worried about him because he was “very peculiar in his mind”, and promised to let the police know if he returned. 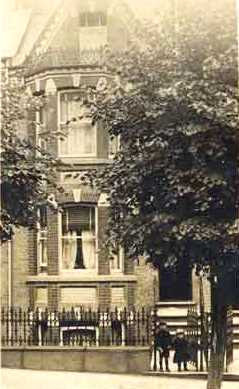 One morning she brought them a letter which she said Mansell had sent from Windsor Hospital. She said she was surprised when Mansell came to her house and had no idea he was an absentee. She was very busy at the time as she had friends at her house, and had no intention of doing wrong. Mrs Balchin’s husband, a soldier, read a letter his wife had sent him, in which she said that she heard groaning at about 11.30pm, went out and found Mansell, who was ill. The case was dismissed, and Mrs Balchin was warned to be more careful.